Training and continuing education are always beneficial for your professional career. The Commercial Cleaning Academy offers many training and continuing education courses. If you are looking for something specific you can search in our listing of courses. Or you can contact us via our website or the phone for additional assistance. Training for supervisors and/or building directors specific to hospital cleaning, Basics of Microbiology, Knowledge of appropriate cleaning systems/techniques for hospitals as well as care and health facilities. 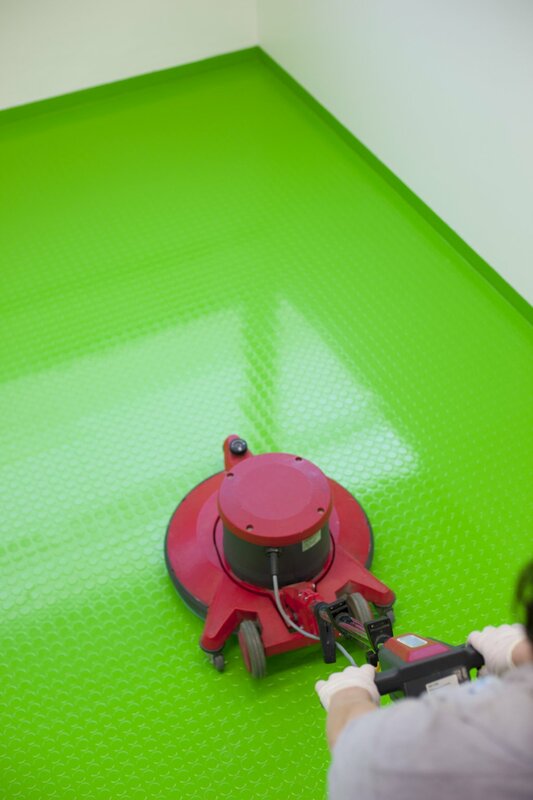 Surface cleaning in the maintenance cleaning in hospitals, floor cleaning systems in the maintenance cleaning of hospitals, practical methods of disinfecting isolation rooms. The course ends with an expert discussion and helps fulfill the qualification to serve as a trainer of apprentices, as well as the completion of Module 4 for the master’s exam. Various forms for carrying out or cancelling an apprenticeship. Further knowledge of and information concerning cleaning organization, commercial knowledge, collective employment contract rights. The modules can be booked separately. Each module ends with a completion exam. A 10% discount is available to participants who register for all three modules. Only after successful completion of all three modules may participants refer to themselves as „Geprüfter Hausbetreuer“ (certified building/property caretaker) and use its applicable protected logo. The successfully completed exam at the completion of the course will entitle you to use the title „Gebäudereinigungsdesinfektor“ (Commercial cleaning disinfector). Noting potential health risks and using targeted methods to protect employee health and reduce their workload, as well as employee retention.